A fully revised and updated 2nd edition of this practical guide to how EU decision-making works − and how stakeholders can get their views across at the most useful moments. Politicians and officials need input from a broad range of stakeholders so that they understand the impacts that their decisions will have and make the right choices. Understanding how the legislative process works, and when and how they can intervene to make their voice heard, is essential for stakeholders – whether they are business organisations, NGOs, Member State governments, local authorities, or businesses and governments from outside the EU. 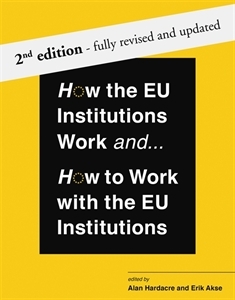 This book has been created by a team of experienced EU public affairs professionals to explain the interplay of the EU institutions, the different procedures and challenges of the Parliament, Commission and Council, and the steps that need to be taken by stakeholders to engage effectively and at the right time. Packed with real-world insights, timelines for how legislation is adopted, checklists of key points and actions, flowcharts and explanatory diagrams – this is a highly accessible resource for study, reference and planning. It is essential reading for anyone seeking to understand how Brussels really works.